Product Description: A gentle daily cleanser for all skin conditions. Calms, cleanses and clarifies gently and effectively. Pores are deep cleaned with this effective exfoliating cream This deep cleanser and gentle exfoliant contains a unique blend of herbal extracts that activate the skin to cleanse itself while preserving the natural acid layer of the skin. Dirt and impurities are washed away, leaving skin clean and rejuvenated. Directions: Use morning and evening. Remove make-up and moisten face well with warm water. Squeeze 1 inch of Cleansing Cream onto the hand, mix with warm water and spread between wet hands. 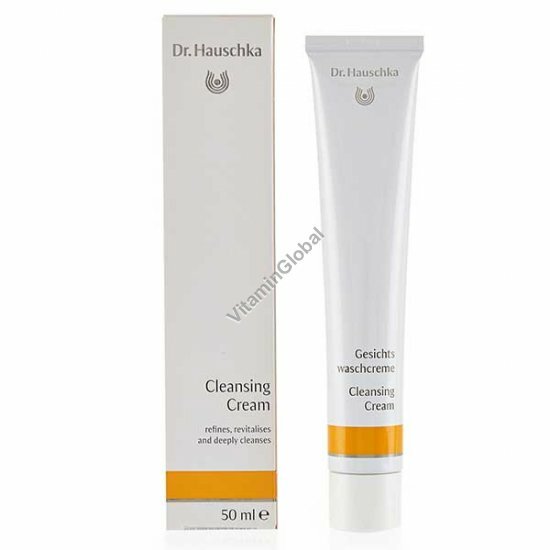 Begin to work the Cleansing Cream in in gently using a pressing, rolling motion. Do not rub or scrub. Rinse off usingwarm water, and follow with a splash of cold water. .